What seasonal produce should you be eating this June? Gooseberries have always lived in the shadow of their much more popular berry cousins including strawberries, raspberries and blueberries but we’ve always felt that was an injustice! We love their tartness and the range of ways it can be cooked from the classic gooseberry fool to an accompaniment with pork or goose. Why not make a weekend of it and head out to the countryside to pick your own or head to your local farmers market but we know that both of these options always practical with a busy working life. Gooseberries are available from May to September, but at their best from late June through to early August. Early in the season the green cooking gooseberries are available – look out for firm and plump specimens but not rock hard – perfect for desserts and pickling. 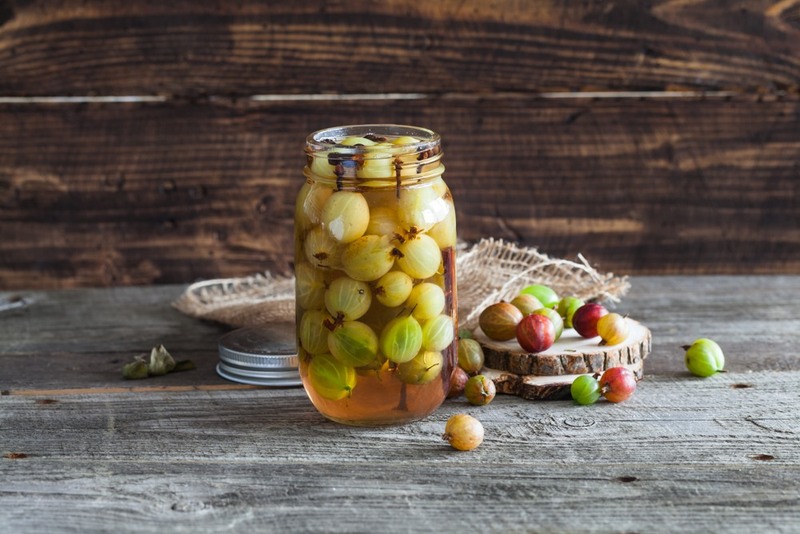 Later in the season you’ll be able to eat the red and yellow gooseberries raw. Unwashed, you can store these in the fridge for week. You will find that gooseberries can vary quite a bit in sharpness; so make sure you adjust the amount of sugar specified in recipes, tasting along the way. Here is a collection on our favourite recipes, using this hero ingredient. A gorgeous and simple summer dessert is a classic British staple and can be tracked back to Elizabethan times. We recommend eating this shortbread biscuits for some texture and sweetness. Top and tail the gooseberries then add them to a saucepan with 70g of caster sugar and cook over a medium heat. Simmer the mixture for around 10 minutes or until the berries have started to soften and break down. In a clean mixing bowl whip the remaining teaspoon of sugar with the cream until you achieve soft peaks. 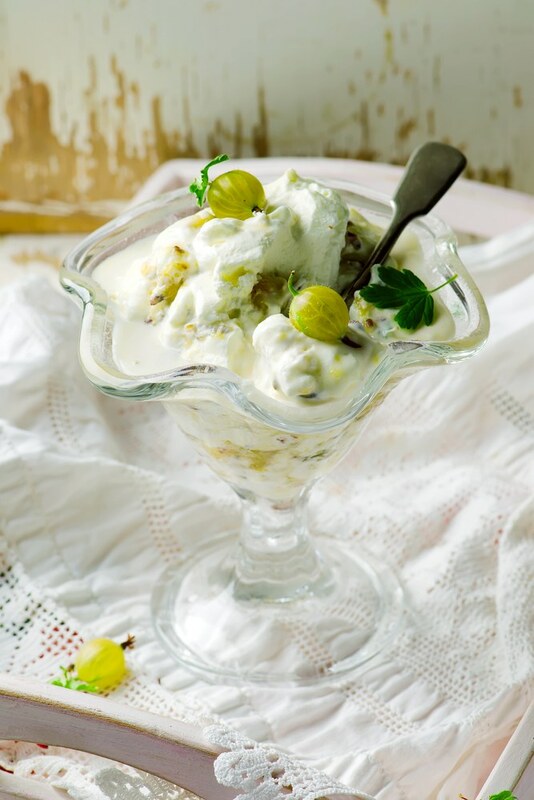 Fold the gooseberry mixture through the cream with a metal spoon and then serve. For a little something extra, why not add some elderflowers into the gooseberry mixture while cooking. The two go perfectly together!